Fire Protection District deputy chief said. 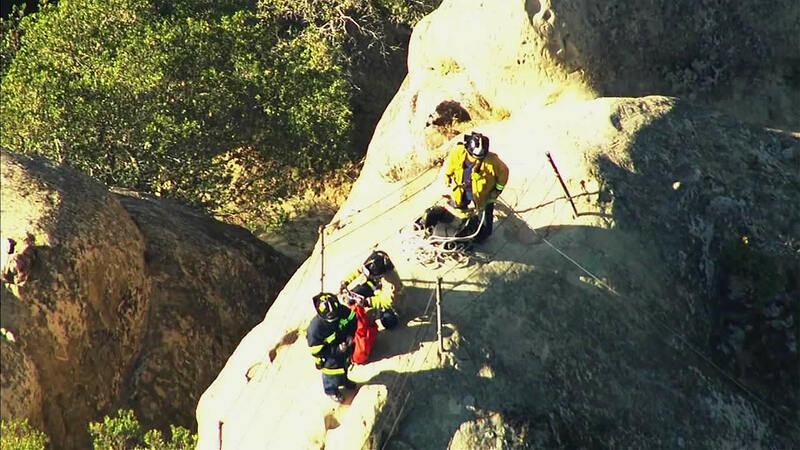 Fire crews responded at 11:16 a.m. to a report of a 14-year-old boy who was at Sentinel Rock with friends and climbed outside of a railing there, then slid down a ledge into an area where he couldn't climb back up, Deputy Chief Lon Phares said. Phares said the boy "got lucky he didn't slide all the way" down the ledge, a distance of about 100 feet. Crews set up a rope rescue operation, lowering a rescuer down to the boy and attaching a harness to him. The boy was then lowered the rest of the way down the ledge to safety, according to Phares. He suffered only minor abrasions to a leg and did not require transport to a hospital, Phares said.